Sunday River in Maine is one of the most popular ski resorts along the East Coast of the USA, offering fantastic facilities and outstanding ski runs for skiers and snowboarders to enjoy. New England is well-regarded as one of the most picturesque areas of the world and looks stunning no matter what the season. However, it really comes to life between December and April when the Sunday River resort glows with beauty. Sunday River is one of the friendliest ski resorts in the world, offering amazing customer service and exceedingly good hospitality. 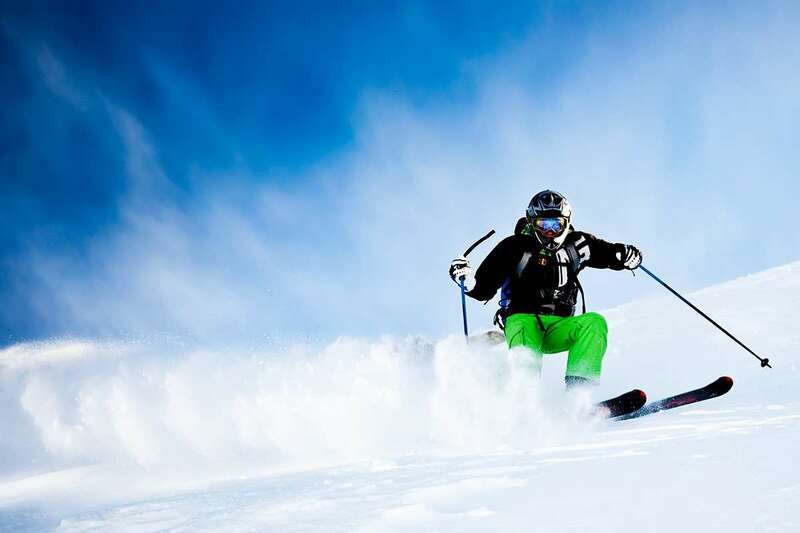 Equally suitable for both newcomers to skiing and people with years of experience, the area has proven to be extremely popular for Americans and international travelers. There are some excellent peaks designed to suit a range of different abilities, so it is vital that you do your research before heading up to the slopes. The season here runs from November to April and snow coverage is reliable thanks to the resort’s high altitude and amazing winter weather. Sunday River is split into eight separate resorts, each offering their own level of skiing. These are White Cap, Locke Mountain, Barker Mountain, Spruce Peak, South Ridge, North Peak, Aurora Peak, Oz and Jordan Bowl. Out of these, White Cap, Aurora Peak and Oz boast the most challenging terrain, while Locke Mountain, Barker Mountain, Spruce Peak and South Ridge provide the most beginner-friendly runs. For a wide variety of different routes, Jordan Bowl and North Peak are the best options. All of the runs enable skiers to gaze out into the wonderful New England scenery, but Jordan Bowl perhaps offers the best views as it overlooks many of the nearby mountains. Sunday River hosts many events during the winter season and boasts plenty of excellent restaurants. These include the Matterhorn Ski Bar and the Black Diamond Steakhouse, while Foggy Goggle is the perfect party destination with live music and excellent food and drinks. Other activities include some extraordinary walking trails, a stunning movie theatre, snow tubing and the Oxford Casino. With so much to choose from, you’re sure to keep busy after a day of skiing. Nice family resort, good for beginners and intermediates.